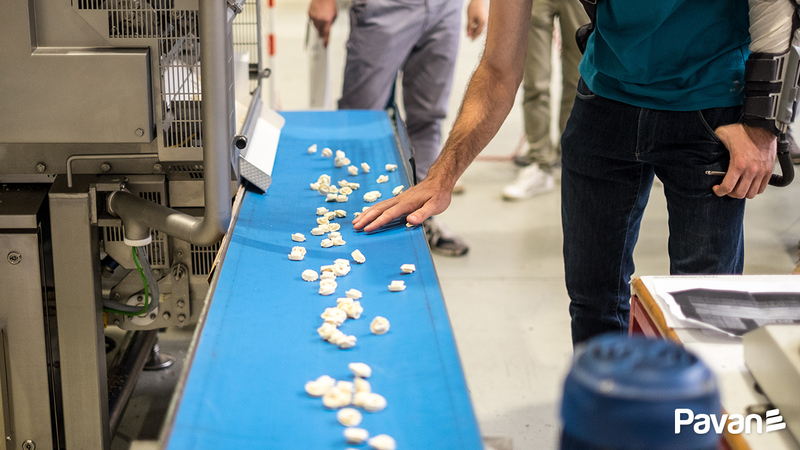 On July 2 and 3 Pavan Headquarters hosted some of the major producers of fresh pasta, who had the opportunity to attend tests on the production of ravioli made with the new MRD540 forming machine. 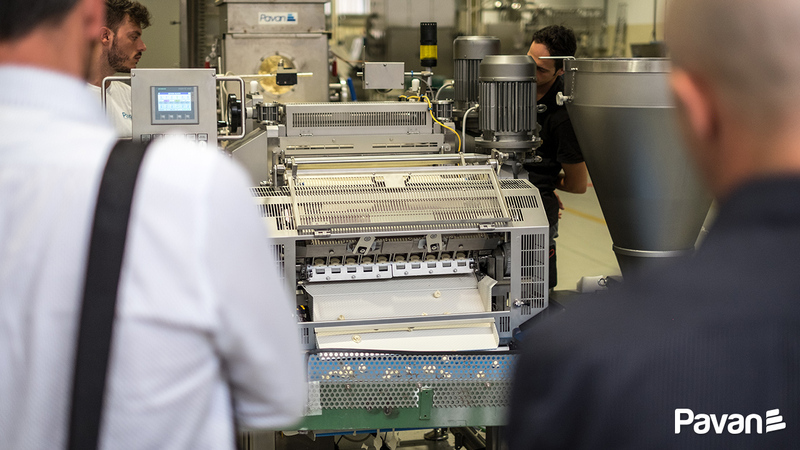 The new MRD540, launched at Ipack Ima 2018, is a high-speed forming machine with quick die change capabilities, suitable for the production of single sheet ravioli, fagottini and cappelletti and both hard and soft fillings. 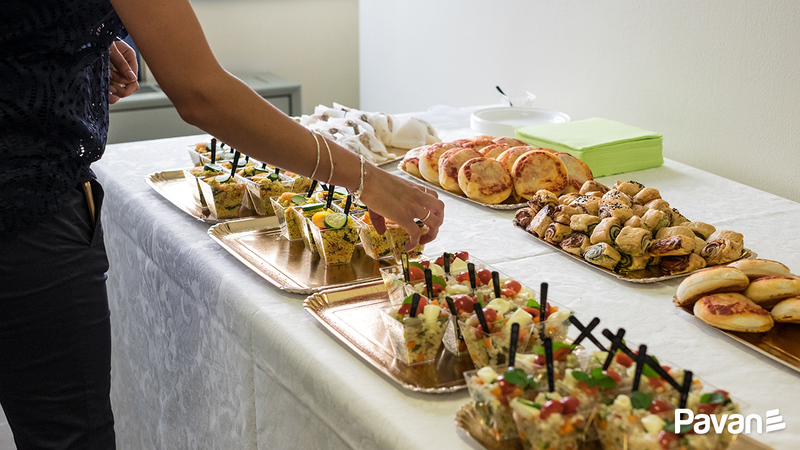 The guests could test the main features of this new equipment: it can process a wide range of different products, making production extremely flexible and adaptable to market demands. 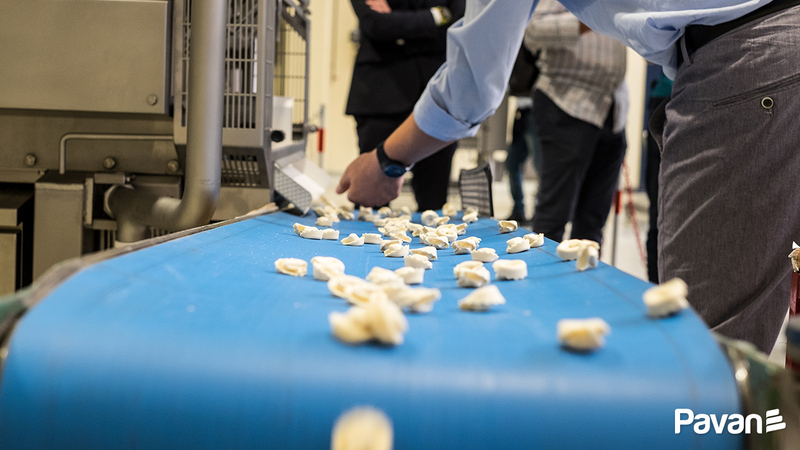 To even further increase flexibility, Pavan developed a system for fast mold exchange, making it is possible to change the mold and set the phasing in five minutes and switch to a different product manufacturing. It is equipped with a continuous filling distribution unit driven by a three-phase asynchronous motor with speed variation via a frequency converter for better adjustment of the filling portions. A system of eccentric cams, connecting rods, side guides and bearings facilitates the pusher motion. 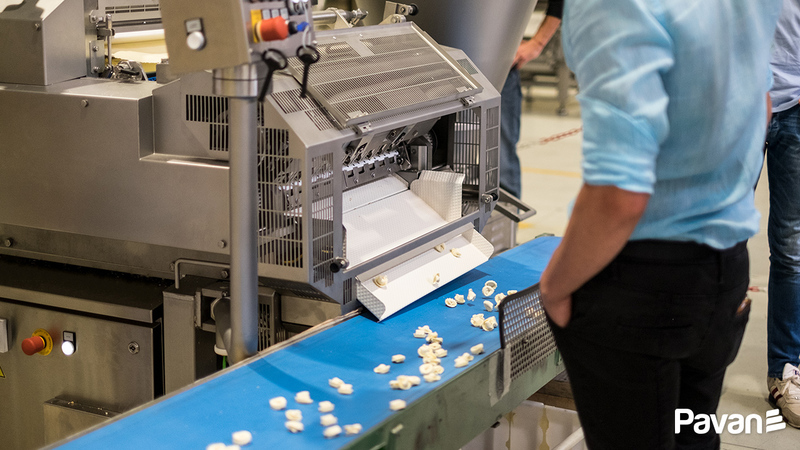 A system with compensating pistons driven by a cam which is connected mechanically to the main drive by a timing belt, makes it possible to achieve constant filling pressure, thus improving the dosage accuracy and minimizing filling stress due to pressure. This means there is a very low level of mechanical stress to be maintained, thus preserving the organoleptic characteristics of the filling. 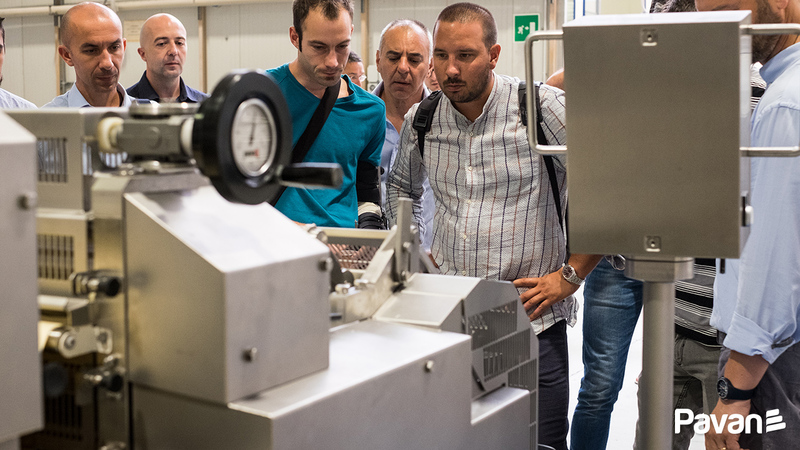 Furthermore, a volume compensating piston makes it possible to increase the speed of the machine without affecting the characteristics of the filling, and improving the filling distribution through the forming die. The sheet thickness is continuously adjustable by means of a central hand wheel with micrometric action and is kept constant using two pairs of adjustable calibrating rolls made of stainless steel, and by direct transmission powered by four engines controlled by an inverter. The MRD540 can be washed completely using soap and a medium pressure washer. All the various motors and gearboxes are protected from corrosion by a coating made of food-grade epoxy paint, STEEL-IT®. 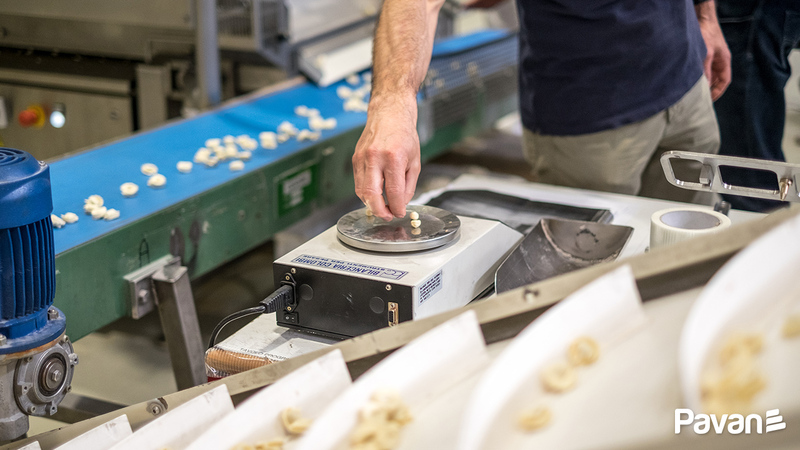 In order to avoid the need for grease, which could compromise the hygiene of the final product, Pavan always installs a primary drive motor on its fresh pasta machines which transmits the mechanical movement to the other components via belts and gears, meaning no chains (which would need to be lubricated) are required. 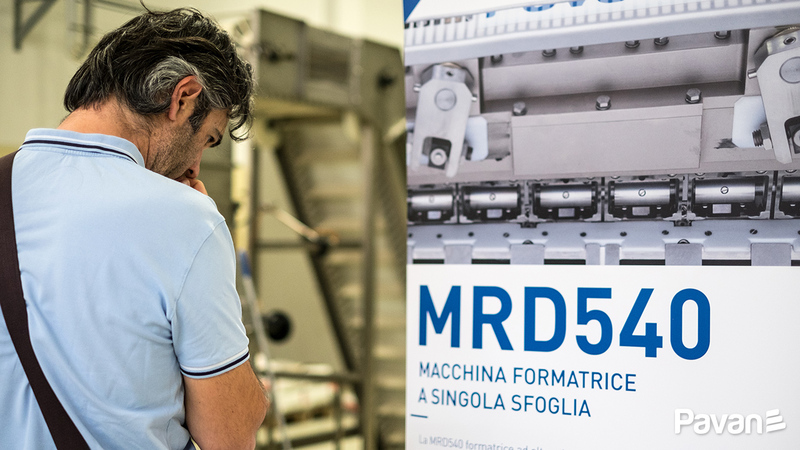 The new MRD540 has been already purchased by several fresh pasta producers, which will be able to verify the innovative features of this machine. 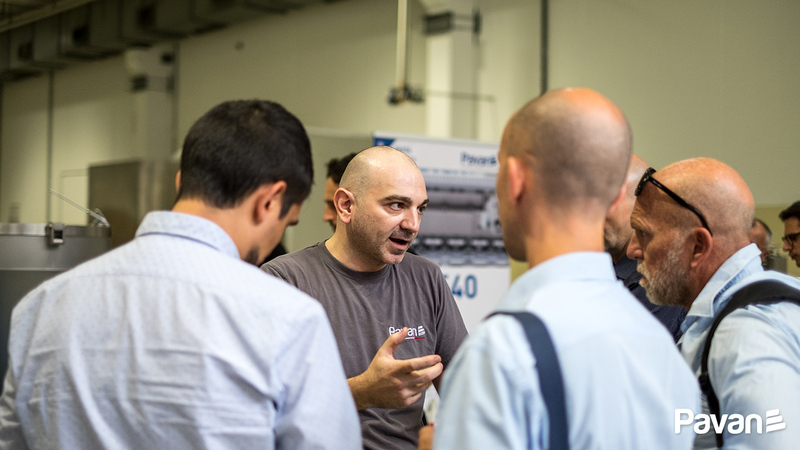 Thank you to all our customers that visited us and assisted to the MRD540 tests!